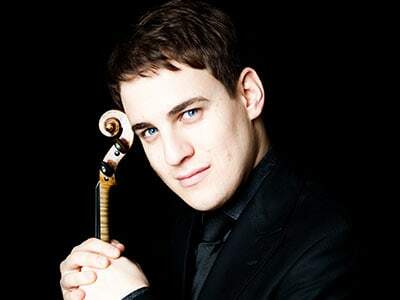 Born in London in 1980, Jack Liebeck is established as one of the most compelling young violinists on the concert platform. He has appeared with all the major British orchestras and with the Royal Stockholm Philharmonic, Oslo Philharmonic, Moscow State Symphony, Sinfonica de Navarra, Real Philhamonia de Galicia, Belgian National, Lausanne Chamber, Polish Radio Symphony, Queensland Symphony, Auckland Philharmonia and Indianapolis Symphony, among others. He has performed under the baton of conductors such as Martyn Brabbins, Paul Daniel, Sir Mark Elder, Roy Goodman, Gunter Herbig, Alexander Lazarev, Andrew Litton, Sir Neville Marriner, Sakari Oramo, Libor Pesek, Vasily Petrenko, Jukka Pekka Saraste, Yuri Simonov, Leonard Slatkin and Bramwell Tovey. Jack made his acclaimed London recital debut to a sold-out Wigmore Hall in 2002 and has gone on to perform recitals all over Europe, plus tours of Australia, China, Korea, Taiwan, New Zealand and the USA. Jack is a committed chamber musician, collaborations have included performances with Katya Apekisheva, Renaud and Gautier Capuçon, Michael Collins, Julius Drake, Bengt Forsberg, Lynn Harrell, Angela Hewitt, Gary Hoffman, Piers Lane, Christopher Maltman, Leon MacCawley, Christian Poltera, Joan Rodgers, Katherine Stott, Jean-Yves Thibaudet, and Ashley Wass. Since a hugely successful recording debut on the Quartz label with pianist Katya Apekisheva (“CD of the Week” the Telegraph, “Strad Selection” in Strad magazine and a Classical Brit Award nomination), Jack has recorded two critically acclaimed discs for Sony Classical (Dvorak, awarded a 2010 Classical Brit Award and Brahms Sonata’s) and has just started a new recording relationship with Hyperion Records. Jack has an established bond with Oscar winning composer Dario Marianelli and is featured as soloist on the film scores of Jane Eyre (2011) and the 2013 Oscar, Golden Globe and BAFTA Nominated soundtrack for Anna Karenina (released 2012). Recent performances include a broad range of concerti; from Maxwell Davies, Sibelius, Tchaikovsky, Glass and Lindberg to Brahms, Mendelssohn and Mozart, with the Royal Philharmonic, Royal Liverpool Philharmonic, Orchestra of Opera North, Queensland Symphony, English Chamber and Bournemouth Symphony Orchestra respectively. 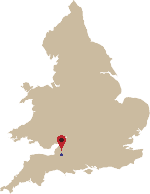 Other recent orchestral appearances include the London Philharmonic Orchestra and Northern Sinfonia (Bruch); Real Filharmonia de Galicia (Gerhard); Royal Stockholm Philharmonic (Brett Dean’s The Lost Art of Letter Writing); Auckland Philharmonia (Dvorak); Orquesta Sinfonica de Navarra (Brahms); Oslo Philharmonic (Lindberg); Ulster Orchestra (Korngold); BBC National Orchestra of Wales (Chausson’s and Saint-Saens), Vivaldi’s Four Seasons (play/direct) with the Royal Philharmonic Orchestra and The Halle (Mendelssohn). Jack is professor of violin at the Royal Academy of Music and is the Artistic Director of Oxford May Music Festival, a festival of Music, Science and the Arts (www.oxfordmaymusic.co.uk). Jack plays the ‘Ex-Wilhelmj’ J.B. Guadagnini dated 1785 and is generously loaned a Joseph Henry bow by Kathron Sturrock in the memory of her late husband Professor David Bennett.